16:00 - 18:30? OpenMath Society Business Meeting. 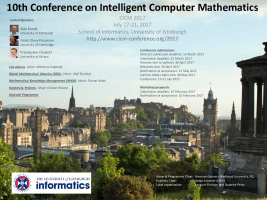 though others related to OpenMath are certainly welcomed. For examples of contributions see the previous OpenMath workshops of 2009, 2010, 2012, 2013, 2014, 2015, 2016.